Wow! What a week we've had in my family! Thursday my nephew and his wife had a baby girl, my parents' first great-grandchild. We've toasted her arrival more than once in the past few days. Thursday evening Miss H took The Big Guy and I out to dinner for an early anniversary dinner. Friday was my birthday, which we celebrated with dinner out with friends. 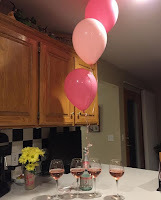 Yesterday, another of my nephew's got engaged to a young woman who is perfect for him. Today is our 34th wedding anniversary. Tomorrow is my mom's birthday so we headed to Lincoln to have dinner with my parents and my sister and her husband. It's been a whirlwind of food and champagne! Good thing I got a new pair tennies for my birthday because I really need to get to the gym this week! Listening To: NW by Zadie Smith, which is turning out to be something of a struggle in the car. Also, listening to some "Reading Women," " NPR Books," and "Happier" podcasts while working out. Watching: The World Series, football and, on PBS, The Durrells In Corfu. Some years ago I added Gerald Durrell's My Family and Other Animals to my TBR list. Seeing the adaptation of the trilogy of his family's life has made me want to get that book back up to the top of my buy list. Reading: Sarah Water's Fingersmith. My plan was to have it finished by tomorrow but that's not going to happen. I am really enjoying it and will be through it yet this week. Then it's on to nonfiction reads for Nonfiction November. Not sure what I'll be reading for that yet; something foodie for Fall Feasting and maybe something football related. 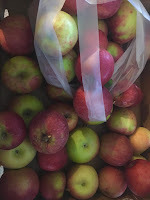 Making: Two trips to the apple orchards this week have netted us 15 pounds of apples so you can imagine that we have been eating a lot of apples, including fried apples and apple crisp. I'd wager to say we still have 10 pounds left so I'm contemplating making applesauce this week. I'll also be trying a new recipe for homemade tomato soup. Planning: A trip to Columbia to take my parents to meet the new little princess. Cannot. Wait! Thinking About: Christmas. It's time to kick up the crafting and shopping. Miss S and Mini-me will not be able to get time off to come home for the holidays so I've got to get their gifts into the mail in a about 6 weeks - gasp! 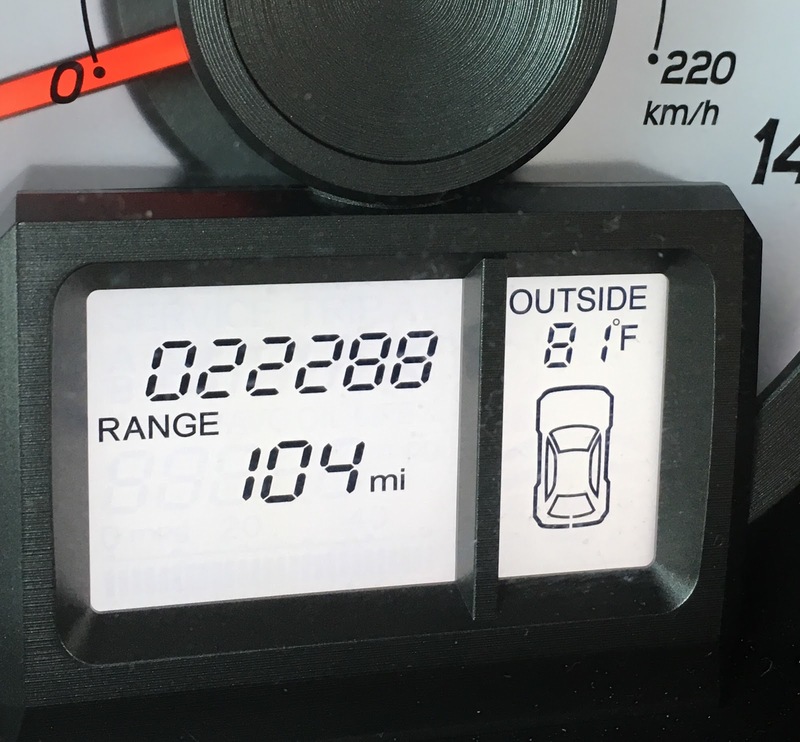 Enjoying: A three-day weekend and the fabulous weather we've been having. I know a lot of you are eager for cooler temps but I'm happy to still see temps in the 70's. It's cool in the mornings and evenings, but so warm enough for long walks in crunchy leaves. Looking forward to: Getting Miss Evie into my arms! Question of the week: What's your best advice for the new parents? How far will you go to achieve a dream? That's the question a celebrated coach poses to Katie and Eric Knox after he sees their daughter Devon, a gymnastics prodigy and Olympic hopeful, compete. For the Knoxes there are no limits—until a violent death rocks their close-knit gymnastics community and everything they have worked so hard for is suddenly at risk. As rumors swirl among the other parents, Katie tries frantically to hold her family together while also finding herself irresistibly drawn to the crime itself. What she uncovers—about her daughter's fears, her own marriage, and herself—forces Katie to consider whether there's any price she isn't willing to pay to achieve Devon's dream. Coming out, as this one did, right before the Summer Olympics this year, I found myself interested in reading about a subject I might otherwise not have had much interest in. I mean, I have never been able to do a cartwheel, let alone a back hand spring or a Yurochenko. But it being Olympic time, I suddenly become fascinated by the athleticism, grace, courage, and confidence world-class gymnasts have. And the commitment and sacrifices their families have to make to help them reach those heights. Plus, the promise of a mystery and the lure of Megan Abbott, who I'd only heard great things about, had me eager to read this one. The book is less about the sport itself and more about the people who make it their lives - the high cost; the fight to have the right coach, the right equipment; the strain on finances and time; the infighting and gossip. The relationships between the gymnasts' parents felt spot on - the jealousies, the group focus on the best that can unite and divide, the camaraderie. You know, a lot like teenage girls. When she did drop down onto the gym floor, Abbott didn't always get it right, for me and it sometimes took me out of the flow of the story. For example, when her focus shifted to the athletes at work, Devon was always working on the horse. There was a reason for this, tied to the story line, but it didn't seem plausible. Now the mystery, the mystery kept me guessing. I really enjoyed the way Abbott slowly revealed the truth about the what happened to the young man we know early on has died, the red herrings that she threw out along the way. Even more, I enjoyed the unreliability of looking at things from Katie's point of view, the question of what we might do for the people we love, and the question of how much we really know about those same people. "There isn’t anything in the world that hurts like a burn.” No one knows the pain of a fire more than the women of the Keegan/O’Reilly clan. 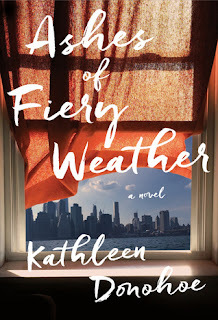 Kathleen Donohoe’s stunning debut novel brings to life seven unsentimental, wry, and evocative portraits of women from a family of firefighters. When we meet Norah — the first member of her family to move from Ireland to New York — she is a mother of three, contemplating her husband’s casket as his men give him a full fireman’s funeral, and faced with a terrible choice. Norah's mother-in-law, Delia, is stoic and self-preserving. Her early losses have made her keep her children close and her secrets closer. Eileen, Delia’s daughter, adopted from Ireland and tough-as-nails, yet desperate for a sense of belonging, is one of the first women firefighters in New York. It is through her eyes that we experience 9/11, blindsided by the events of that terrible day along with her. They say (whoever "they" is) to write about what you know. Raised in a family of Irish-American New York firefighters, Kathleen Donohoe took that advice to heart. Her experience in that world shows. She understands the fear, the pride, the strain on families, the bonds in the community. In Ashes of Fiery Weather, we get the stories of the Devlin/Keegan/O'Reilly family through six generations as told through the points of view of seven women. This is one of those books that I requested based on the description (okay, partly on the cover) and then forgot what it was about when I started reading it. When I did, wow. Family drama. Irish immigrant firefighters. 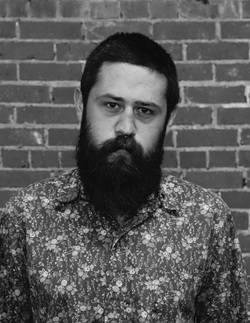 Dead young father. Yep, I was all in with Norah's story. Not all of the stories grabbed me as deeply and sometimes, with 20 or so main characters, things got confusing (even with a family tree at the front of the book). Some of that has to do with me having to put the book down for a few weeks for other commitments and losing track of who was who and emotional attachments. When I picked it up and started reading Eileen's story, I was reading the story of the immediate aftermath of the collapse of the twin towers on 9/11, as seen from the point of view of a firefighter. It is an incredible piece of storytelling, emotional without being maudlin. This is as much the story of the firefighters who survived that day and had to live with the aftermath of losing 343 of their own as it is about those who lost their lives. The desperation, the terrible strain of what those who were digging found, the ash and debris and lack of communication were palpable. In this chapter, it felt like Donohoe really dug down to what it means to be a firefighter. This chapter alone made the book worth reading. "The press kept pushing the idea that the firefighters ran into the buildings heedless of the danger. That phrase. They guys had been repeating it around the firehouse: I'm going down the basement heedless of the danger. I'm cooking these meatballs heedless of the danger. I'm cleaning these tools heedless of the danger. In speaking of the courage it took to run into burning buildings, the press made it sound like firefighters didn't give a f^*# about "the danger," whether it came from a smoldering hardware store that looked like an easy job or two skyscrapers hit by airplanes. But the guys on 9/11 had not died gladly." "Until recently, though, Eileen had not considered what Sean would have done if he was given the choice of dying at thirty-five or driving out of Brooklyn into a much longer life. Presented with it at twenty years old, he would have gone away. What young guy wouldn't? But suppose it was the night before the fire, when Sean had been a husband for eleven years and a father for ten? Eileen look now at her niece and nephew, both coming up on thirty, their lives on the courses they'd chosen, or found themselves on. She thought of Brendan and Rose, still starting out, and of Norah, who had planned to stay in New York for a year and ended up spending a lifetime, most of it grieving. Sean would not have chosen a life without her, a life in which his kids never existed. And he would not have run from the fire that killed him, even if he had been told it would. The whole job was the pull between knowing you could get killed and thinking you'll always find the way out. Knowing what will happen if you don't. Going in anyway." Donohoe touches on a lot of themes in Ashes of Fiery Weather: family relationships, religion, abuse, poverty, infertility, homosexuality, traditions, immigration. But the overarching theme of this book is missing persons - young sons lost to illness, a husband and father lost to fire, a child given up for adoption, lost parents, a daughter and mother lost to unbelievable tragedy - and the ways people deal with that loss. Some pull in on themselves, others grow a hard shell. Some find new strength, others can never get over the void in their life. Donohoe shows readers all of this and the fallout it can have. Greetings from sunny, beautiful Omaha where I am trying like crazy to enjoy every bit of fall before it leaves us. We're trying to get in all the usual fall activities, enjoy the colors, the softness of the light, the smells. We've had a busy few days with a day trip planned today as well. We were entrusted to check out a reception venue for Mini-me and Miss S on Thursday and I'm happy to report that we now have that decided. I'm already decorating the hall and veranda in my head. We went to a wedding yesterday and I was taking mental notes like crazy. I wish my phone wouldn't have died; sadly, I got no pictures. As much fun as I had yesterday, I was bummed to miss Dewey's readathon. My apps were flooded with pictures: Twitter, Litsy, and Instagram all reminded me how much fun so many of you were having curled up with a good supply of snacks and an even better supply of books for 24 hours. It felt odd not to spend Friday night getting things prepped and crawling into bed early. Listening To: I finished West of Sunset Friday and will start Zadie Smith's NW tomorrow. Or I'll wait another day because I really loved the narration on West of Sunset and it till be hard to live up to; I may need to give it another day or two. Perhaps some podcasts first. Watching: This morning I'm waiting French Kiss with Meg Ryan and Kevin Kline. It's one of those movies I can't help but watch every time it's on t.v. Reading: I'm finishing up You Will Know Me today then I think I'll start Sarah Water's Fingersmith. Making: Pumpkin cupcakes. Twice. Once, accidentally, without the pumpkin. Those looked ridiculous but my family insisted they still tasted good and ate them as muffins for breakfasts. Planning: See above. My next order of business is to sew a kilt. Yes, a kilt. My family has Scottish heritage and Mini-me would like to wear a kilt in our clan pattern. Have you ever priced a kilt? They are crazy expensive, as much as the bride's gown. So I decided to sew one. How hard can it be, right? It's all straight lines and math. Yeah, I don't believe it will be that easy, either. That's why I'll do one out of muslin first. Thinking About: How little I'm getting done around the house this weekend, which makes me a little twitchy. But we couldn't pass up all of the fun things we did yesterday or the chance to enjoy a beautiful day outdoors today. 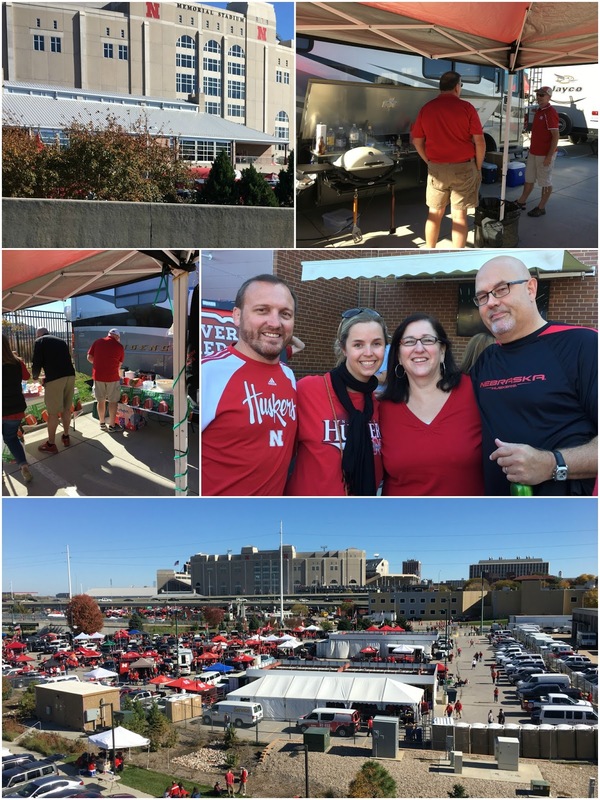 Enjoying: Tailgating at the Husker game yesterday. 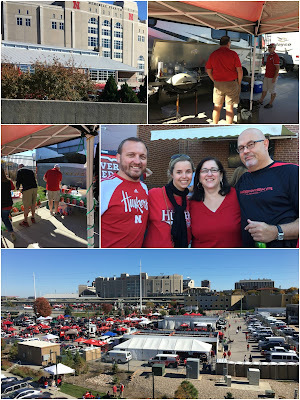 We first met up with friends who have a regular spot and throw a great party every home game. Then we headed off to meet up with Lori of An Irreverent Escapade and her boyfriend. Lori and I "met" seven years ago on Goodreads and finally got to meet for reals last summer. Feeling: Proud. Watching my daughter find her passion and really start to go after it is so much fun! Looking forward to: Heading down to Nebraska City this afternoon for our annual trip to get apples and enjoy the trees at the Arbor Day Lodge. Question of the week: Daylight Savings Time ends this coming weekend. I, for one, will be in mourning for that extra hour of daylight I get in the evenings but I know a lot of people are looking forward to it. What side of the debate do you fall on? Every bit as fun as the first book in the series, Girl Waits With Gun (my review), in Lady Cop Makes Trouble Constance is truly front and center when a prisoner escapes while she's meant to be guarding him, putting her new position as a deputy and the sheriff's freedom at risk. 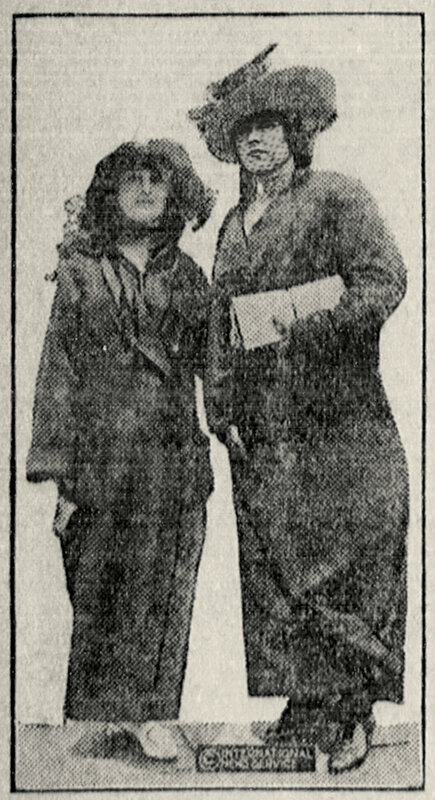 Again the story is based on the true lives of the Kopp sisters, which does constrain Stewart somewhat because she does try to stick very closely to the facts of the sisters' lives. 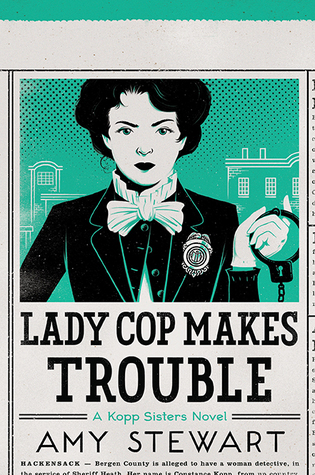 But there is plenty of room for Stewart to flesh out the characters, their relationships, the manhunt, and Constance's fight to become one of the first female law enforcement officers in the country. 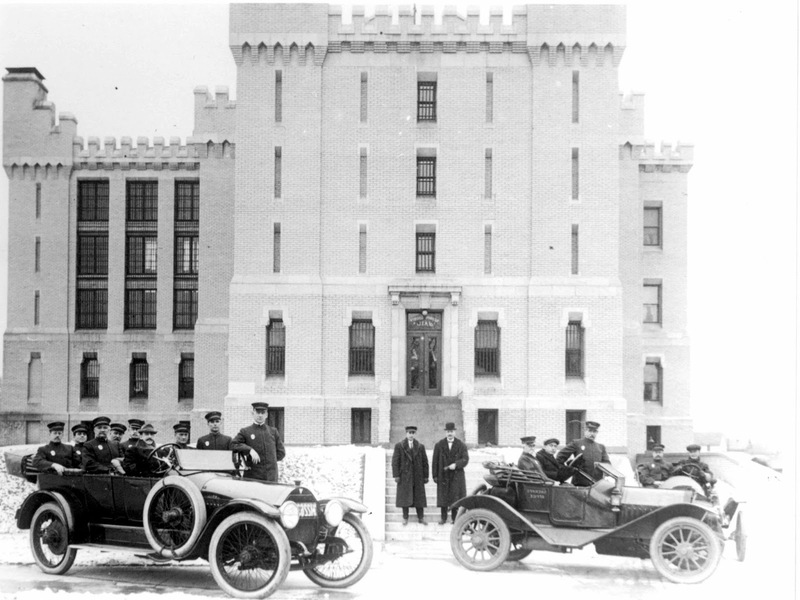 Consequently, we spend a lot of time in the jail and the courthouse at a time when early prison reforms were being pushed. In fact, all of the time period comes alive - the legal system, the lives of tenement dwellers, a world on the brink of war, changing transportation modes, clothing styles, and, most importantly, the battle of women to be independent equals. Well, I finally finished this book. 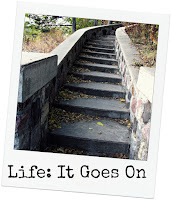 If you've read it, will you please left me a comment so we can talk about that ending? For me, it was just so flat. Which would have been disappointing in any book, but especially so in a book that I had enjoyed so much right up to the point when I realized how Patchett was going to end the book. "And how might you have ended the book, Miss Smartypants, who has never written a book, let alone won prizes for them," I hear you asking. I have no idea. Maybe Patchett didn't either? Yeah, I doubt that very much, too. So I'm left wondering what I missed. 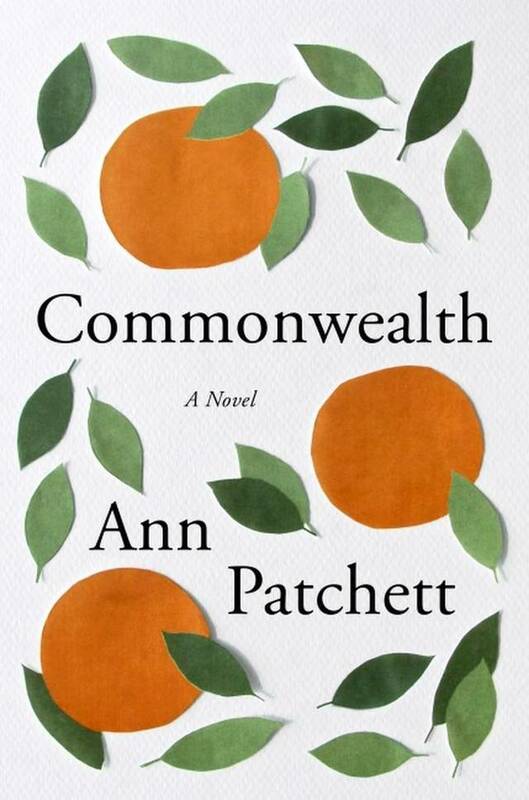 Because otherwise, Commonwealth is filled with everything I've come to expect from Ann Patchett - complex characters, complicated relationships, a slow reveal that lends an air of mystery, and incredible writing. I know some people have had a problem with the structure of the book, but after some confusion because of a fifty year jump in time between the first and second chapters, I really didn't. It forced me to pay attention, recall characters and details from earlier (or even later) points in time. It allowed for Patchett to look at events and characters from varying perspectives. Commonwealth is the story of a so-called blended family. At the christening party for one of the children, an affair begins that splits up two families. When that couple moves from California to Virginia, they take with them her two daughters but leave behind his four children. The only time the six spend together is a few weeks each summer when they are all together in Virginia (hence, the title). The children don't particularly care for each other (or their own siblings, for that matter) but they are united in their hatred of "the parents" and form an unlikely "fierce team." 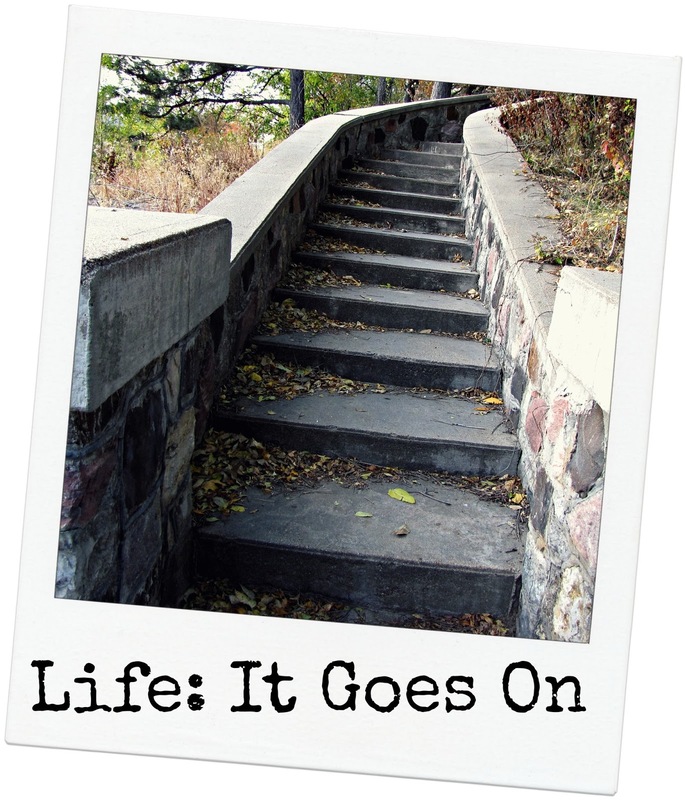 When the family suffers a loss, and a marriage falls apart, the children drift apart, each with his or her own baggage and guilt. But there remains a tie that binds the children and their parents together for the rest of their lives. Watching them grow as people, fail and succeed, find their places in life and circle back to each other was like getting to know real people. Patchett helps readers to see the good and the bad in all of her characters, to see how their struggles form them, and to see how families interact in ways we don't always expect. I can hardly stand it any longer. I need this election to be over soon. Every day I feel like a weight it sitting on me. I'm so tired of people spewing hatred against those who don't have the same opinion, those who believe that the other side is a bunch of stupid people for being what they believe. And all of the lies are just mind boggling - and once they're out there, it's all but impossible to get people to believe the truth. I'm afraid this election may have caused a divide in our country that won't be healed. What happened to the idea of compromise? Working together for the good of the country? Sigh. Listening To: I've got about one more week of West of Sunset and really enjoying it a lot. I've also managed to listen to several podcasts while working out this week, including an episode of Best of the Left and Slate's Audio Book Club's discussion of Emma Cline's The Girls. It really put in words the issues I had with the book even though I was drawn in by it. Watching: Given that my response to this prompt varies so little, I'm not sure why I still have it. I'd like to tell you I was able to get The Big Guy to look at Netflix for something good to watch but I wasn't. Yet another sigh. Reading: Beside what you see on the right, I'm reading Megan Abbott's You Will Know Me. It's not my usual read and, while it's interesting, it's a slow build. I've heard good things about it, though, so I'll keep at it. Making: Chicken and noodles, chili, peanut butter cookies. I was out of butter and resorted to the worst-case-scenario margarine BG bought because it was cheap. That will not happen again. Planning: An attack on my office this week. Every time I think I'm going to tackle this project, something else comes up so it's still too scary for words. Enjoying: Happy hour with girlfriends. Two of them just got back from three weeks in Italy and France and we had so much time hearing about their trip. As if I didn't already long to get to Italy some day! Feeling: Pleased with myself. 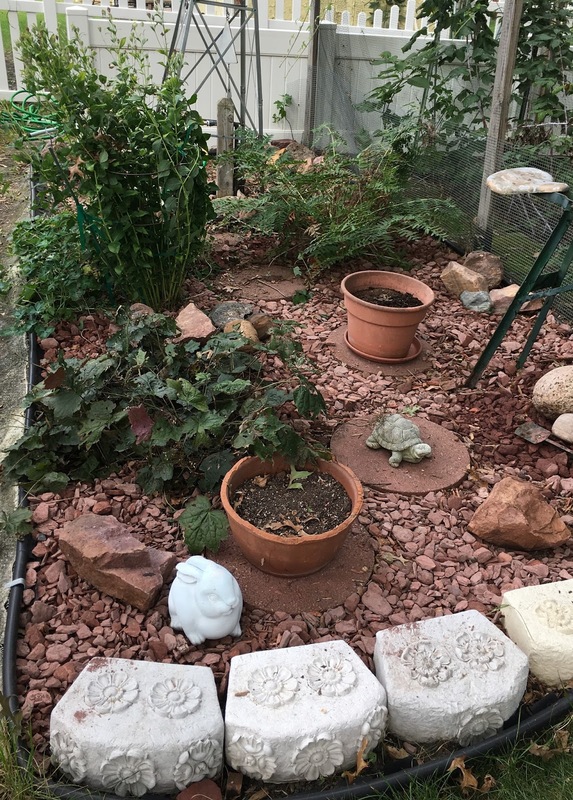 I went back to my folks' this weekend and finished the rock garden we'd started a couple of weeks ago. 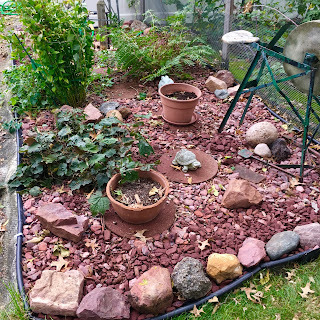 I hefted out landscaping stones and lugged rocks around. My back is reminding me I should have lifted more with my knees, but it was worth it. I can't wait to see it in the spring when the pots are full of flowers and everything green is lush. Looking forward to: Book club this week. We'll be discussing Anna Quindlen's Miller's Valley. I read it so long ago, I hope I can remember the details to discuss it because, as you may remember it, I loved it. Question of the week: I'm getting ready to start putting together a list of books for the first six months of next year for my book club. If you belong to a book club, what books has your club read that made for the best discussion? If you're not, what books have you read lately that you've longed to talk to someone else about? These were three sisters who have suffered the differences of their personalities and their places in the family, who are each dealing with their own problems. But Brown doesn't burden them with overly dramatic pasts and secrets that make it hard to believe they will ever be able to forgive each other. The narration. Kirsten Potter is a reader I will look for again. It helps, of course, that of the five main characters, four were female. Still, her male characters were more than acceptable. The relationship between the sisters is plausible and relatable. They bicker, they hide things from each other, they know how to get under each other's skin but they also know how to read each other when something is wrong. They love each other, even when they don't know it. The battle between the insular world of Barnwell, Ohio and its college and the outside world each of the girls has to come to terms with. Brown paints a fair portrait of both options. Oh so many references to books. This is an entire family of readers. A library plays a big part in the characters' lives. And all of the Shakespeare makes the book more literary than the story might otherwise feel. The ending was just what I wanted from the book. Happiness in the right places. Resolution. And a little unpredictability. The Andreas parents are benignly negligent. I always have a hard time with that because it's so hard for me to relate to - my childhood memories are filled with interactions with my parents. Their discipline, care, proven love are clear reasons why I love them. How does someone love their parents as much as I love mine when they didn't have that background? And the Shakespeare. I know I just said it was a good thing. But there was just so much of it. The father is a man whose passion has run amok (the girls are Rosalind - As You Like It, Bianca - The Taming of The Shrew, and Cordelia - King Lear after all) and who speaks almost entirely in quotes from the Bard. And I'm sure some of that would have rubbed off. But it just felt like too much some of the time. Still, it did go to show that Shakespeare is a guy that seems to have had an answer for everything. Yes. While there is some heavier subject matter, the book is not overly dark. In fact it's filled with a great deal of humor. With all of the relationships to discuss, the idea of small town versus big city, the concept of birth order, and an overarching theme of responsibility, there's a lot here a book club would find discussion-worthy. Tom Birkin, a veteran of the Great War and a broken marriage, arrives in the remote Yorkshire village of Oxgodby where he is to restore a recently discovered medieval mural in the local church. Living in the bell tower, surrounded by the resplendent countryside of high summer, and laboring each day to uncover an anonymous painter's depiction of the apocalypse, Birkin finds that he himself has been restored to a new, and hopeful, attachment to life. But summer ends, and with the work done, Birkin must leave. Now, long after, as he reflects on the passage of time and the power of art, he finds in his memories some consolation for all that has been lost. So you all know how I'm loving Litsy lately, right? This little book is one of the reasons. One day Liberty Hardy (contributor at Book Riot, co-host of the All The Books podcast, cat lover, and a woman who owns so many books she could build a house out of them) decided to take on the challenge of having anyone who sent her two (or three or five, I can't remember exactly) books they love and she would give them a recommendation based on those books. 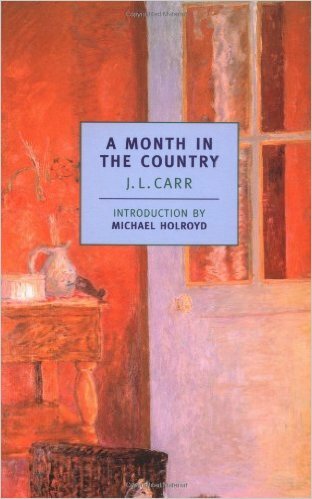 For me, she recommended J. L. Carr's A Month In The Country (a Booker Prize nominee). Two days later I got tagged by a Litten (yeah, we've got ourselves a cutesy nickname) who was putting together a readalong of this book and saw that Liberty had recommended it to me. 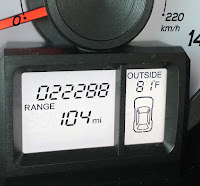 What are the chances, I ask you?! I already had committed to reading something like seventy zillion pages in September but this is only about 100 pages long and it was my first readalong on Litsy so, of course, I joined in on the fun. How have I never heard about this book before? Or J. L. Carr? And how can this be a book that was just published in 1980? That would make it a modern classic but there is nothing modern about this book. And it very much should be considered a classic. It has all of the slow beauty of books written in the time period in which it is set, just after the end of World War I. "...on to the town where market day slowed us to a walk and, sometimes, a half, as other wagons maneuvered on the cobbled square. Farmer's wives stood with baskets of home-churned butter and eggs at their feet or offered for sale early apples, hazel pears, bunches of pinks, whatever country folk had more than enough of in their orchards and gardens. I saw a man swinging a bulldog, its teeth clamped on a bootlace. "Ye'll ha' bother breaking a beeatlaace like this yan if t'dog can't" he cried. And, from another stall, the smell of bread baked that morning reminded me that my hurried breakfast had not quelled hunger. Away from everything he has known before except the skills required to restore the painting, Tom finds the space he needs to heal surrounded by villagers who befriend and encircle him. But we know from the beginning that we are looking back at a time in Tom's past, perhaps the best time. Perhaps a time that made all of the time afterwards bearable. "This is what I need, I thought - a new start and, afterwards, maybe I won't be a casualty anymore.Well, we live by hope." "I liked him from that first encounter: he was his own man. And he liked me (which always helps). God, when I think back all those years! 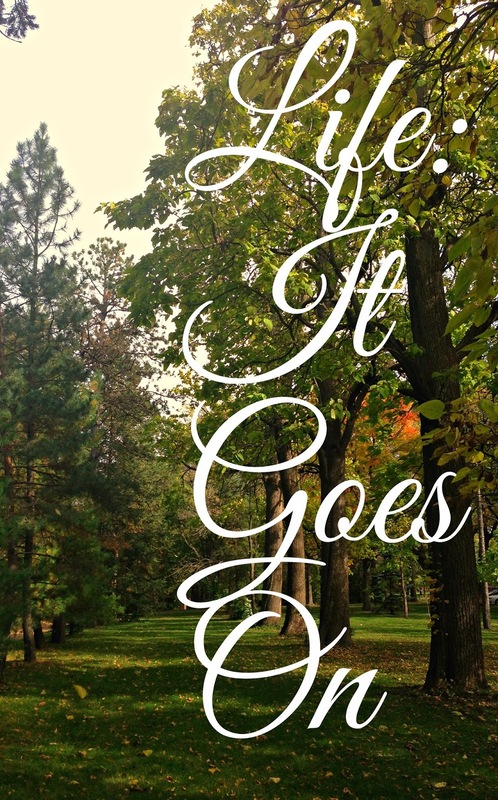 And it's gone. All the excitement and pride of that first job, Oxgojdby, Kathy Ellerbeck, Alice Keach, Moon, that season of calm weather - gone as though they'd never been." I was so impressed with Carr's writing. Oxgodby, the church and the surrounding environs come alive; there is the very real feeling of knowing the people; and Carr's observations of life spoke to me. I'll undoubtedly be reading what little else he published before his death. Unfortunately, despite his writing having been well-received, Carr began writing novels late in life with little financial success. Which is such a shame. "Am I making too much of this? Perhaps. But there are times when man and earth are one, when the pulse of living beats strong, when life s brimming with promise and the future stretches confidently ahead like that road to the hills. Well, I was young." I'll also be looking to track down a copy of the film adaptation starring Colin Firth, Kenneth Branagh, and Natasha Richardson. Seriously, doesn't an all-star cast like that tell you this is great material?! Well, the day my family's been waiting on for almost a year has come and gone, filling us with wonderful memories. My beautiful niece got married to a guy we all think is absolutely perfect for her. The wedding was beautiful, we all had so much fun at the reception, and, other than some broken boutonnieres and a party bus that broke down before the wedding party even boarded it, everything went off perfectly. We are so happy for both of them! Listening To: I started Stewart O'Nan's West of Sunset and I'm really enjoying the writing and the narration. I also knocked off some podcasts during workouts and the ride home today. Watching: Football and baseball are keeping me sane. 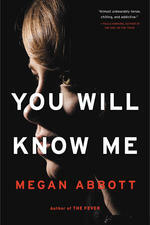 Reading: Lady Cop Makes Trouble when I can get my hands on the iPad; I'm going to start Megan Abbott's You Will Know Me for when I can't. I think it's one that will work for the R.I.P. challenge and it's time to get it read and reviewed. Making: Things? I'm sure I made some food this week. The only thing I can remember is a coffee cake. Planning: Um, things? I'm a little bit slow tonight and can't really think any further than getting myself to bed soon. Thinking About: Ulcerated corneas. Mini-him managed to do just that Thursday night and spent the weekend a bit miserable with that and even in the emergency room while we were out of town Friday night. 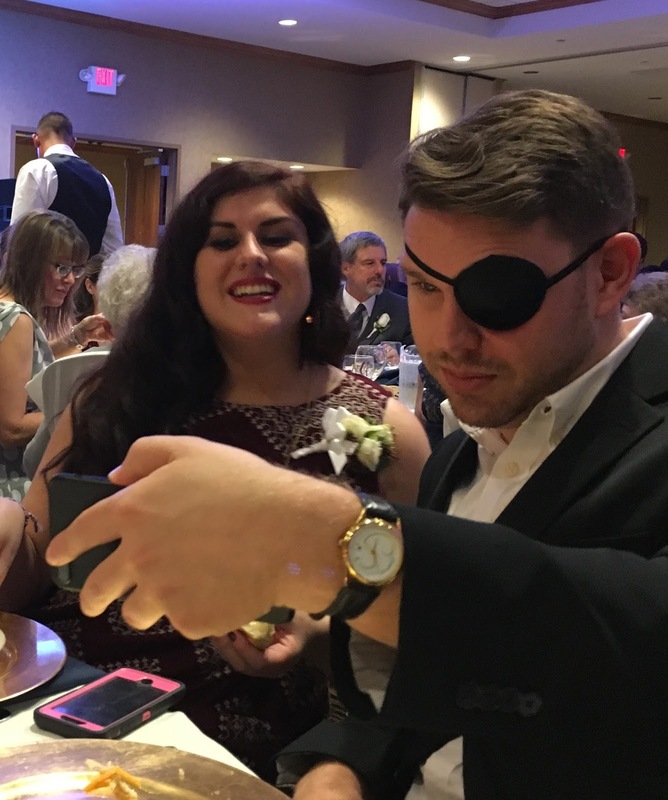 On the plus side, on him that eye patch looks good! 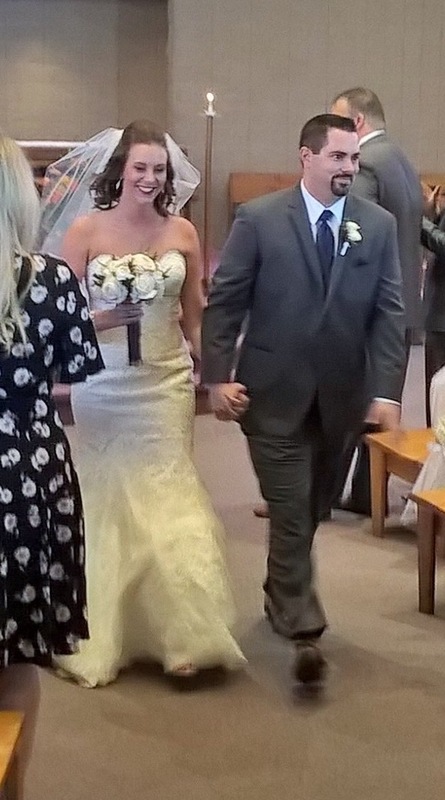 Enjoying: Watching my brother walk his little girl down the aisle. Mugging it up with my family in the photo booth at the wedding. Seeing my little girl cutting loose last night after having done such a great job as one of my niece's personal attendants. Feeling: A happy afterglow from the great weekend but tired. Didn't sleep well the past couple of nights and have been going on high this weekend. Wish I was as lucky as Miss H and got Columbus Day off! Looking forward to: Nothing big in the coming week. Which is just fine with me. Question of the week: I got a lot of great ideas for things Mini-me and Miss S might be able to use for their wedding next summer (which will be here before we know it!). Do you have any great suggestions for an outside wedding? 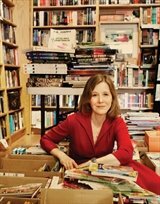 Ann Patchett. 'Nuff said, in my opinion. This is my fifth book by Patchett (I own three others) and I have never finished one of her books disappointed. Every book is unique but Patchett's writing is alway exceptional. Which is why I got a little giddy when I was offered this book for review. "The christening party took a turn when Albert Cousins arrived with gin." By 100 pages, Patchett has made me really want to get to know this blended, screwed up family. To watch them come together. To watch them fall apart. "Here was the most remarkable thing about the Keating children and the Cousins children: they did not hate one another, nor did they possess one shred of tribal loyalty. The Cousinses did not prefer the company of Cousinses and the two Keatings could have done without each other entirely. The four girls were angry about being crowded together into a single room but they didn't blame each other. The boys, who were always angry about everything, didn't seem to care that they were in the company of so many girls. The six children held in common one overarching principle that cast their potential dislike for one another down to the bottom of the minor leagues: they disliked the parents. They hated them." But maybe what really grabbed me was Patchett writing about a character going through chemotherapy. Like a whip, she pulled me straight back into the chemotherapy center I'd spent so much time in five years ago - the camaraderie with the nursing staff, the distance between patients, the bags of poison to kill the cancer cells, the bags of medicine to combat nausea and nerves, the recliners, the naps, the quiet conversations and bonding. So, I'll be back again to talk about this book when I finish it. In the meantime, check out the full tour. Thanks so much to the ladies at TLC Book Tours for including me on this tour. Ann Patchett is the author of six novels and three books of nonfiction. She has won many prizes, including Britain’s Orange Prize, the PEN/Faulkner Prize, and the Book Sense Book of the Year. Her work has been translated into more than thirty languages. She lives in Nashville, Tennessee, where she is the co-owner of Parnassus Books. Find out more about Ann on her website and follow her bookstore, Parnassus Books, on Twitter. And, of course, if you leave anywhere near Nashville or are visiting there, you should definitely go give Parnassus Books some love. In a sweeping story straight out of Russian history, Tsar Alexander I and a courageous girl named Nadezhda Durova join forces against Napoleon. It’s 1803, and an adolescent Nadya is determined not to follow in her overbearing Ukrainian mother’s footsteps. She’s a horsewoman, not a housewife. When Tsar Paul is assassinated in St. Petersburg and a reluctant and naive Alexander is crowned emperor, Nadya runs away from home and joins the Russian cavalry in the war against Napoleon. Disguised as a boy and riding her spirited stallion, Alcides, Nadya rises in the ranks, even as her father begs the tsar to find his daughter and send her home. 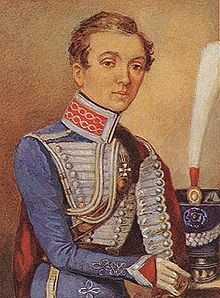 Both Nadya and Alexander defy expectations—she as a heroic fighter and he as a spiritual seeker—while the battles of Austerlitz, Friedland, Borodino, and Smolensk rage on. In a captivating tale that brings Durova’s memoirs to life, from bloody battlefields to glittering palaces, two rebels dare to break free of their expected roles and discover themselves in the process. 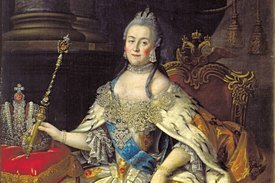 Have I mentioned before that I'm fascinated by Russian Empress Catherine The Great? Have been since I was in grade school and read a biography about her which I still have. She was the (not very nice to him) mother of Tsar Paul and when I saw his name in the summary about this book I was pulled in. Lucky for me, I also got some of Catherine as well so that made me happy. Did you notice that bit in the summary about this book bringing Durova's memoirs to life? This book is a good reminder that there are not only a lot of people who have done brave and extraordinary things but also that a lot of those people were women. 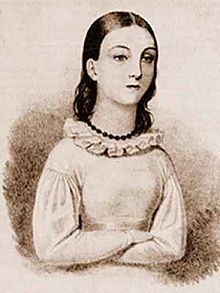 Durova's memoir was one of the few accounts of the Napoleonic wars told from the point of a junior officer and one of the earliest autobiographical works in Russian. Kudos to Lafferty for finding her amongst all of the stories in the world to tell. While the title of this book may be The Girl Who Fought Napoleon, it shouldn't scare of male readers. 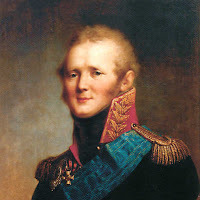 This book's focus is much more on Nadya's experiences in the military and in battle, Alexander's life from a man who had planned to abdicate to the man who overthrew Napoleon Bonaparte, the perils of war, and the perils of power. Certainly the fact that Nadya is female comes up throughout the book, but there is minimal focus on the ways being female affected her ability to function in the military, other than that everyone was always surprised by how young she looked because, of course, she didn't have facial hair. Lafferty may have stuck a bit too closely to Durova's memoirs at times during Nadya's portions of the book. Those parts felt at times weighted down by excessive details. Which is not to say that most of the detail wasn't well worth including - as much as we may feel we have an understanding of what it would take to move an army, we really can't imagine what it must have been like to try to move hundreds of thousands of men and horses, particularly into enemy territory. I wish there had been a map (or maps) included. And maybe even a list of characters. It's a long book and there are a lot of names to remember; if one was reading at a more leisurely pace, it would be easy to forget them all. Besides, I do love me some maps and lists of characters! Also? I do like me some palace intrigue and this book has plenty of that - assassination, infidelities, back stabbings, paranoia. Good stuff. I liked the way Lafferty pulled the two story lines together and especially liked the way tied the ending of the book back to the prologue. Both Nadya (Alexander) and Alexander were interesting characters who led interesting lives and Lafferty does an admirable job of exploring the many facets of both. 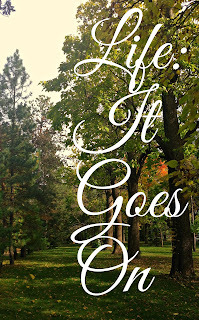 Thanks of the ladies of TLC Book Tours for including me in this tour. For other opinions, check out the full tour. Linda Lafferty was a teacher for nearly three decades, in schools from Madrid, Spain, to Aspen, Colorado. She completed her PhD in bilingual special education and worked in that field; she also taught English as a second language and bilingual American history. 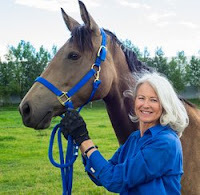 Linda is the author of four previous novels—The Bloodletter’s Daughter, The Drowning Guard, House of Bathory, and The Shepherdess of Siena—all of which have been translated into several languages. The Drowning Guard won the Colorado Book Award for Historical Fiction. She lives in Colorado with her husband. 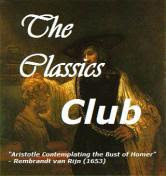 The Classics Club - The Spin Is In! I'll be knocking off three! 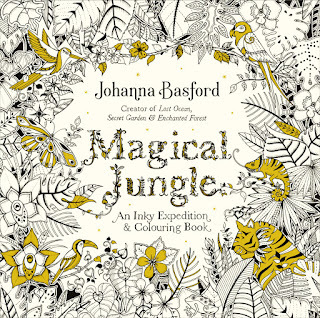 Yeah, so I'm late to the coloring book craze. 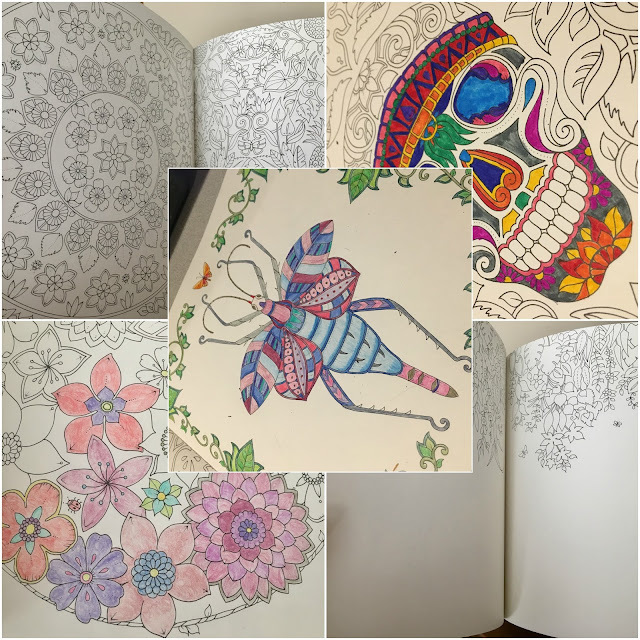 Last fall, my Instagram account was filled with beautifully colored pages from books but I thought I had enough on my plate and didn't join in. At Christmas, I got Miss H a book and a set of pencils because she has always loved coloring books but still I didn't join in the fun. When this book was offered to me for review, I decided it was finally time to jump in. When it arrived, it was full of possibilities and I was in love with it. But before I had even sharpened a pencil, I panicked. Because the drawings were so amazing, I knew I wanted to do them justice. But what if I started and didn't? Or, worse yet, couldn't?? I handed the book off to Miss H but she had the same problems I was having until she finally couldn't resist the sugar skull. She began that one in marker but moved on to trying some flowers in colored pencil. Finally, I dove in. I mean, it's a bug so how "cute" does it need to be, after all? I couldn't stop until it was finished. It's not perfect - there are places I went outside the lines. I was using a terrible sharpener in the beginning and didn't have a sharp enough point. But that first picture is done. 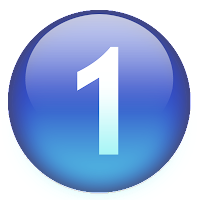 The one you will see. No one else ever has to see the rest if I so choose. And that has freed me up. 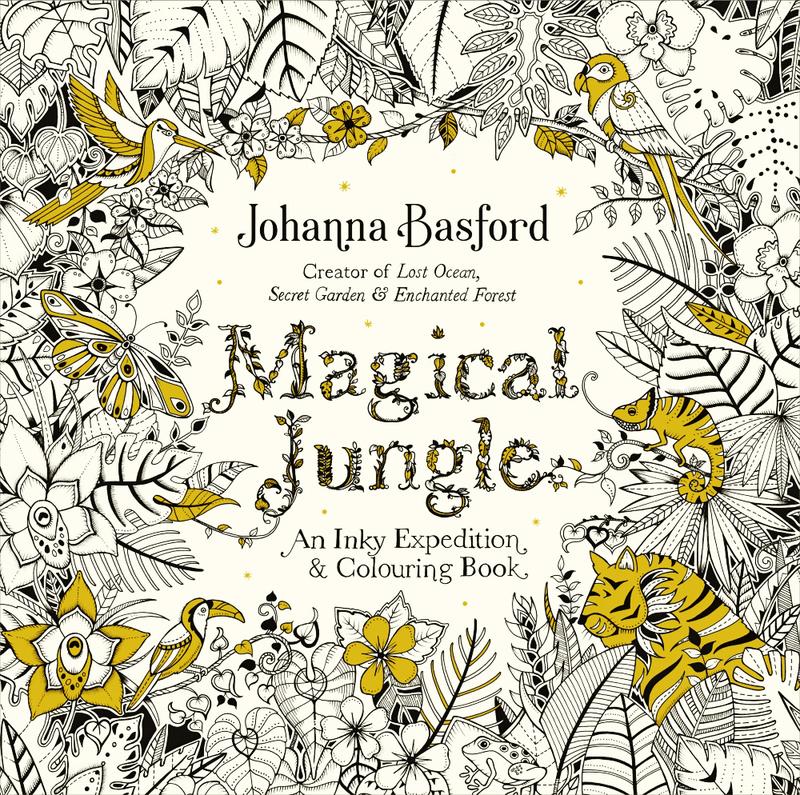 This book is filled with plants and animals and hidden surprises. There are some beautifully complex pages that are completely covered and will certainly take much more than an evening to finish. Maybe more intimidating than those pages are the pages that leave room for the "artist" to add their own creations. I'm still working to get over the intimidation of starting the page. But I'm trying to remember to that this is about having fun. And to remember that sometimes, it's okay if you color outside of the lines! October. How did that happen so soon? I know, I know - you all are all excited for your pumpkin spice latte everything and Halloween but I am in no rush. This last week of September has been just lovely - crisp mornings, beautiful evenings for dinner on the patio. I even left work early an extra day this week to enjoy a perfect, sunny afternoon. Fortunately, as there's no way for me to prevent time from rolling on, this is a month filled with fun for us. Our anniversary; my birthday as well as birthdays of two nieces (happy birthday this week to both of them! ), a nephew, a cousin, a brother, and my mom; AND my niece gets married next weekend. 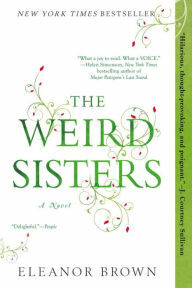 Listening To: I'm back to The Weird Sisters after finishing The Bone Tree this week. I'm really enjoying the narration so, even though I do own it in print, I'll probably finish it on audio this week. Watching: The Voice, The Good Place, The Black List, volleyball, baseball, and...wait for it...football. My beloved Huskers have already won as many regular season games as they did all of last year so we're pretty happy here. 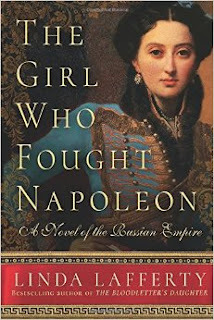 Reading: I've got two books to finish for review this week, Linda Lafferty's The Girl Who Fought Napoleon (very much enjoying spending time in Russia!) and Ann Patchett's Commonwealth, which I'm also enjoying a lot. Making: Steak salad, black bean enchiladas, BLT's, lasagna, and chocolate chip cookies (we even actually baked some cookies before we finished off the dough!). Planning: On more work in my office. I've been going through stuff in there, trying to make some decisions on just how much crafting stuff/sewing stuff I need to keep given that I don't do much of either any more. Thinking About: Going off Facebook for a while. It's my page and I feel like I should be able to post what I want and if you'd like to have a discussion with me about it, I'm more than willing to do that. But only if you have an interest in doing so respectfully. Which has been a problem with a couple of people, including my brother-in-law, resulting in my unfriending him yesterday. There may be differences of opinions but there is no need to be insulting. Enjoying: Working with my mom yesterday on a project in one of their gardens. They wanted rock in this area so we weeded and raked, poured in red rock, moved and arranged some bigger rocks and pulled my grandpa's grinding wheel up front. My muscles enjoyed the workout! Feeling: Very proud of Mini-me! He had three poems published this month in Foliate Oak Literary Magazine. Check his stuff out here! Iambic pentameter it is not. Also, he got a job which he started this week so it's been a good week in a particular house in Milwaukee. Looking forward to: My niece's wedding! She is marrying a really great guy so we are very happy for her. The wedding means a road trip so you know that means that, besides fancy wedding clothes, I'm also planning what to pack for reading. Question of the week: What's your poison for the fall - caramel or pumpkin?